In the mid-1800s, a group of High Anglicans formed the Universities’ Mission to Central Africa (UMCA). Inspired by Dr. David Livingstone, they felt a special calling to bring the Church, education, and medical care to rural Africans. To deliver services across a huge, remote area, the UMCA relied on steamer ships that were sent from England and then reassembled on Lake Malawi. By the mid-1920s, the UMCA had built a chain of mission stations that spread across four hundred miles. 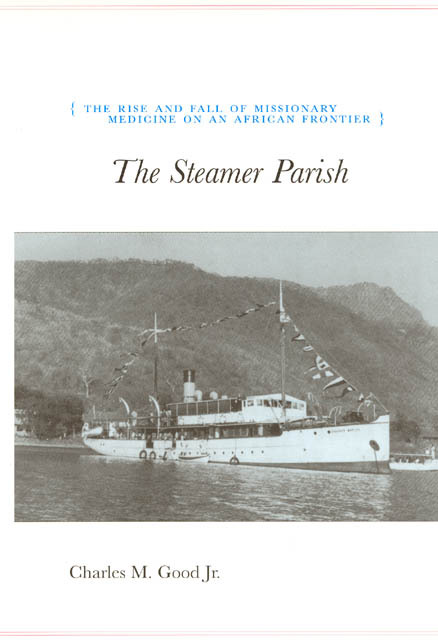 In The Steamer Parish, Charles M. Good Jr. traces the Mission’s history and its lasting impact on public health care in south-central Africa-and shows how steam and medicine, together with theology, allowed the Mission to impose its will, indelibly, on hundreds of thousands of people. What’s more, many of the issues he discusses-rural development, the ecological history of disease, and competition between western and traditional medicine-are as relevant today as they were 100 years ago.